Budded on a standard, this small tree has finely cut foliage for a fern-like appearance. Strongly weeping, 'Walker' was developed at the Morden Research Station in Manitoba, Canada. 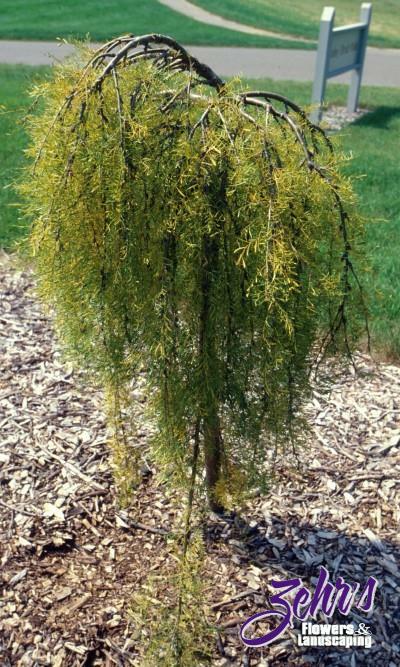 An outstanding accent plant for limited areas, it bears bright yellow flowers in spring.